Hewlett-Packard has formed a security division in order to ensure it is offering the best product, advice and protection to enterprise customers that continue to struggle in the face of growing threats. 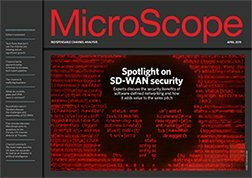 Citing it's own research, which found that more than 50% of firms believe the threats targeting their infrastructure has gone up in the last year, with 30% suffering an internal breach and 20% an attack originating outside the organisation, Hewlett-Packard has extended the protection it offers to enterprise customers. The vendor has formed a business unit, Enterprise Security Products, to oversee its own software and the Fortify, ArcSight and TippingPoint product lines in order to ensure it is talking about the bigger picture to resellers that might only engage with one specific product line. Jay Huff, EMEA director at HP ArcSight , said that it was using its annual security conference, Protect 2011, to reveal the chances and product updates to partners but was keen to stress that even with a unfied division resellers would not come under pressure to start selling more widely across the portfolio. "Resellers need to sell the things they have skills in and are comfortable selling. There would be a number of resellers interested in taking on additional products but we are not forcing anyone to do that," he said. At Protect 2011 the vendor will share its research about the latest customer experiences with attacks as well as making six product and six service announcements.